Ix the Interloper won Design-Your-Naut 2! The votes have been counted and the results are in! 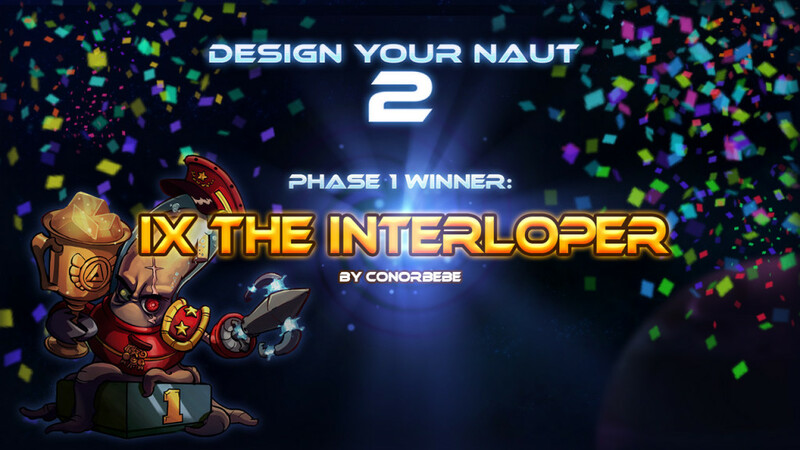 Ix the Interloper by Conorbebe is the winner for phase 1 of the Design-Your-Naut 2 contest. Ix will be added to the Awesomenauts cast soon! In short, Ix can link up with another friendly or enemy ‘Naut, and then swap places with them. But that’s not all there is to Ix, for the full details check his Facebook entry here. Congratulations to Conorbebe and the other finalists, as they will all receive some sweet swag. Thanks again for all the awesome and creative ideas that poured in during this contest. Soon phase 2 of the contest will commence, to determine the visuals for Ix! We’re already looking forward to seeing all the artwork you will come up with. And again, the winners will be voted by the community. We’ll keep you posted!